The PreK 4 curriculum promotes curiosity, creativity, independence, and cooperation to enhance early learning and development. A multisensory approach encourages and increases a child's active engagement in learning through differentiated instruction to meet the needs of every child. These areas of development include leadership skills, self-motivation, expressive and receptive language, and positive self-esteem to create successful and nurturing learning experiences each day. An integrated approach to learning provides many math, literacy, and writing opportunities throughout each thematic unit. Children develop their foundational literacy and pre-reading skills in a print-rich environment. Interactive read aloud, role-play, puppets, and various retelling opportunities support developing comprehension and critical-thinking skills. Stories come alive in the dramatic play and block areas as children learn to make connections between the stories and incorporate learning in their play. In-depth studies on childhood classics introduce children to story elements and narrative structure and sequence. Children learn to express their thoughts, feelings, and experiences through drawing and writing. A letter study, in which a new letter is introduced each week, promotes an understanding of sound symbol correspondence, correct letter formation, and recognition of both uppercase and lowercase forms. Throughout the year, children are encouraged to use these skills to phonetically spell words when labeling their work and sharing their thoughts. The math curriculum is embedded in the thematic units and daily routines. Whether participating in morning meeting, building in the block area, or measuring ingredients for the pretend bakery in dramatic play, children practice reasoning skills daily. Morning meeting routines reinforce number recognition and sequence in the calendar, patterning when tallying up the days of school, and graphing as students chart the weather patterns each month. When creating elaborate structures in the block area and collaborating with peers, students reinforce shape-recognition skills and concepts of weight and balance. Various manipulatives aid students in developing mathematical problem-solving skills as they count, sort, combine, and measure with pattern blocks, links, and tangrams. The science and social studies curriculum offers students exposure to the world around them through hands-on exploration, group discussions, and read-aloud stories. Rich, thematic units encourage students to deeply explore and understand topics. At the start of each unit, the children are encouraged to share their prior knowledge, experiences, and any questions they may have with the group. Through inquiry and group discussions, the children acquire the knowledge to incorporate what they have learned into their work and play. These critical-thinking skills allow children to become independent thinkers and learners. Children develop both their fine and gross motor coordination throughout the year. Activities that involve lacing, cutting, stringing, pouring, and drawing help students build their fine motor muscles. Many games and math manipulatives, such as links, snap cubes, and tweezers provide fun ways to strengthen the muscles needed for a mature pencil grip. Ample time is provided for gross motor development during PE class and visits to the roof every afternoon. Outside the children have access to a play structure with rope ladders, climbing walls, and several slides. Bicycles, balls, and large building blocks are also available for the children to use as they work together to build structures such as balance beams to aid in their imaginative play and develop their coordination through jumping, hopping, running, pedaling tricycles, and climbing stairs. 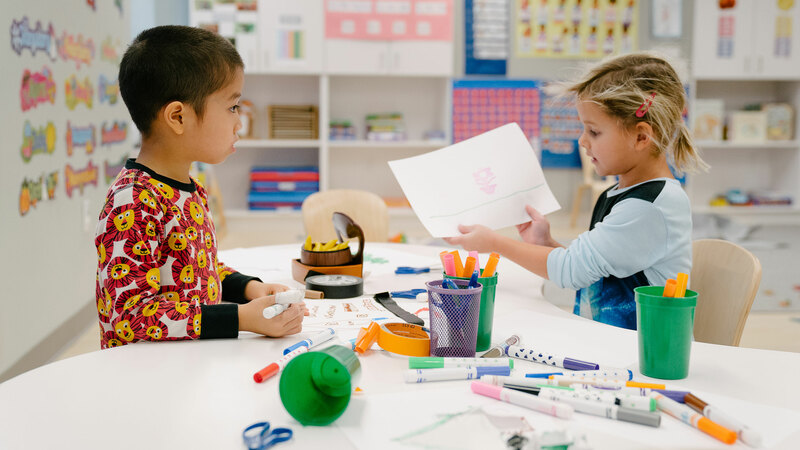 In PreK 4, children are encouraged to work with a variety of materials. Students create, problem solve, and have fun while they explore clay, paper, wire, felt, paint, beads, and yarn. Students paint and draw with a variety of materials: tempera paint, watercolors, watercolor crayons, pencils, Cray-pas, and Sharpie markers. They make collages with bright and sparkling papers. In addition, students work on group projects creating art that complements studies being done in the homeroom class. We pound, roll, and pinch clay to make ceramic bowls and sculptures, which we paint and glaze with beautiful colors. 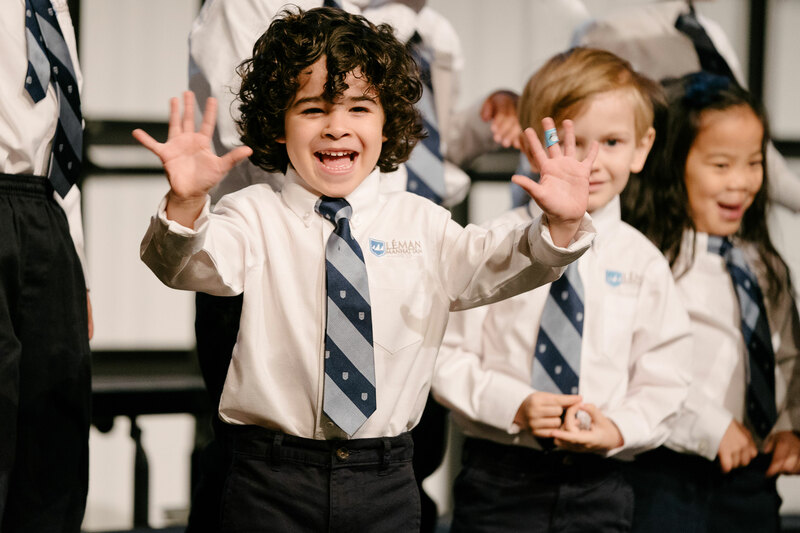 The music curriculum focuses on safe, nurturing, and creative play to explore key elements of music. Vocal discovery is cultivated through various whisper-speak-sing activities, high-low games, echo singing, and exploration of a varied repertoire of songs. The process of feeling, hearing, and creating a steady, even beat is approached through active songs, chanting, repetitive movement, and the use of percussive instruments like hand drums, sand blocks, and rhythm sticks. 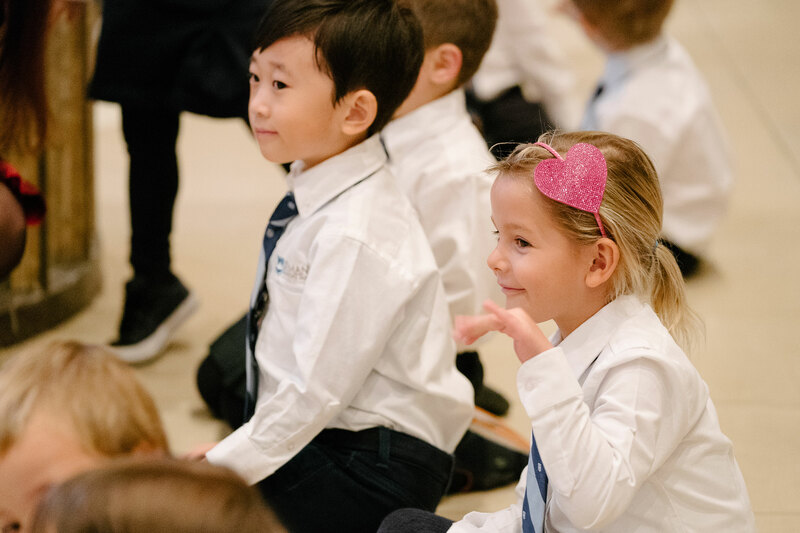 In each class, students develop a healthy, independent singing voice by echoing simple songs and melodies. From the very first day of class, students gain knowledge of lifelong fitness in a safe and fun manner. Throughout the year, students learn about spatial and body awareness, directional concepts, and locomotive skills. Through creative games and activities, students learn to cooperate and develop fine and gross motor skills. Locomotive movements such as skipping, galloping, tiptoeing, and running are skills that are continuously reviewed throughout the year. Creative movement is a large part of our curriculum. Students enjoy our animal unit where they explore the movements of other animals. Many of the concepts from the classroom are integrated and reinforced in physical education, including a study of the four seasons, pattern development, the alphabet, and animal movements. Safety is first! A safe environment is necessary to nurture a positive experience in the water. Students spend the first few weeks of school learning about water safety, which includes our pool rules and routines. We discuss the importance of following those rules and how they can help us become more productive swimmers. Throughout the year, students learn skills that are essential to swimming and lifesaving. These skills include learning to exhale underwater or “blowing bubbles”, floating (supine and prone floating), streamline ready position, and flutter kicking. Students often work in small skills-based groups to ensure each child is receiving the attention they require to progress. Exploration time is an important component to learning at this level as it allows students to focus on different skills in a less structured environment, while still being monitored. The curriculum strives to create a peaceful classroom community in which the children feel safe to express their thoughts and ideas in a caring environment. A sense of community is established by following the Responsive Classroom approach, which consists of practical strategies for bringing together social and academic learning throughout the school day. Our day begins with Morning Meeting, as each child greets a friend or visitor so they feel welcomed and connected to our classroom family. Daily class meetings provide emotional support so the children can form secure relationships. Learning takes place when children use their words, work on conversational skills, listen to one another, and problem solve. 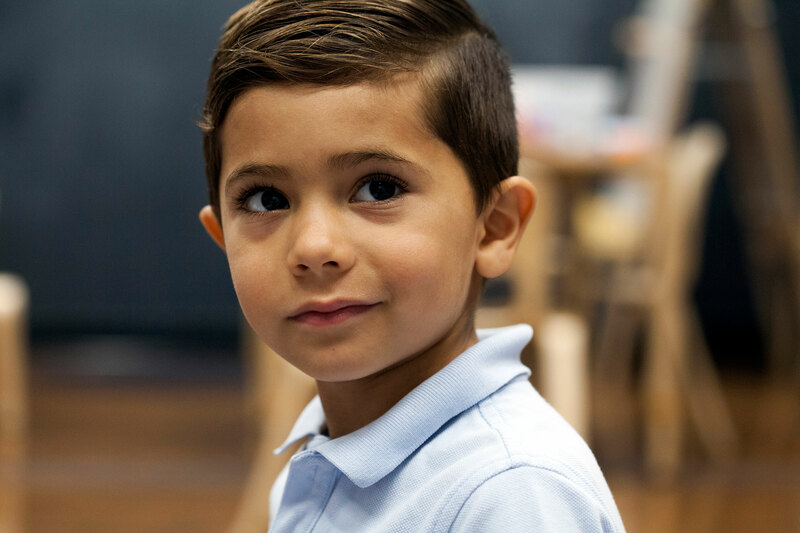 Cooperating, taking turns, and empathy are modeled to make the classroom a nurturing, safe environment, where young children flourish both socially and academically. After School Programming is available from 3:00 PM to 5:45 PM and includes a range of classes from French to Chess. Pricing varies by number of days enrolled. Please contact the admissions team for more information. We are now accepting applications for 2019-2020. For information on applying visit the Léman PreK 3 & PreK 4 Application Process page.